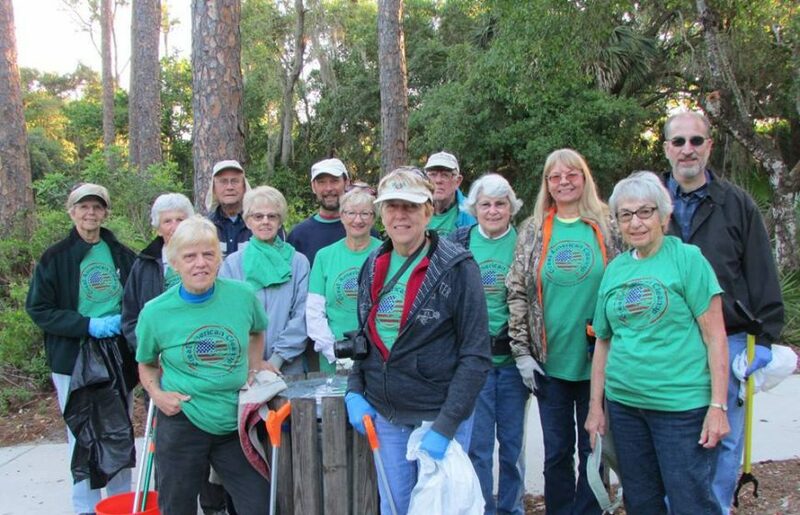 “Peace River Audubon Society will be participating in the annual Great American Cleanup/Keep Charlotte Beautiful scheduled for Saturday, March 24. Members of PRAS will again this year be cleaning up Kiwanis Park at 501 Donora Street, Port Charlotte, 33948. Meet at 8:00 in the main parking lot to pick up supplies. The first 20 members to sign up will receive a Great American Cleanup t-shirt. Kiwanis Park is well known for some of the best birding in Charlotte County. Why not come out and help pick up litter to make our community clean, green, and beautiful and at the same time, enjoy the large number of birds that occupy this gem of a park. Following the cleanup, there will be refreshments available at the Douglas T. Jacobson Veteran’s Home, 21281 Grayton Terrace, Port Charlotte, FL 33954.